Alfred Barye was an excellent sculptor and some of his best work was of dogs. 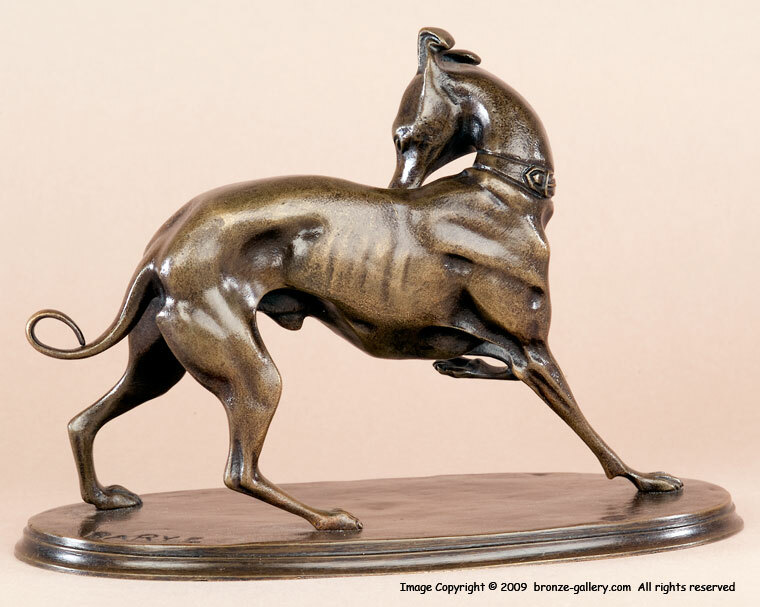 This amusing bronze shows a Greyhound or Whippet reaching back to bite at an itch on his back. The lean hound is well muscled and is standing on three legs while he bites his back. 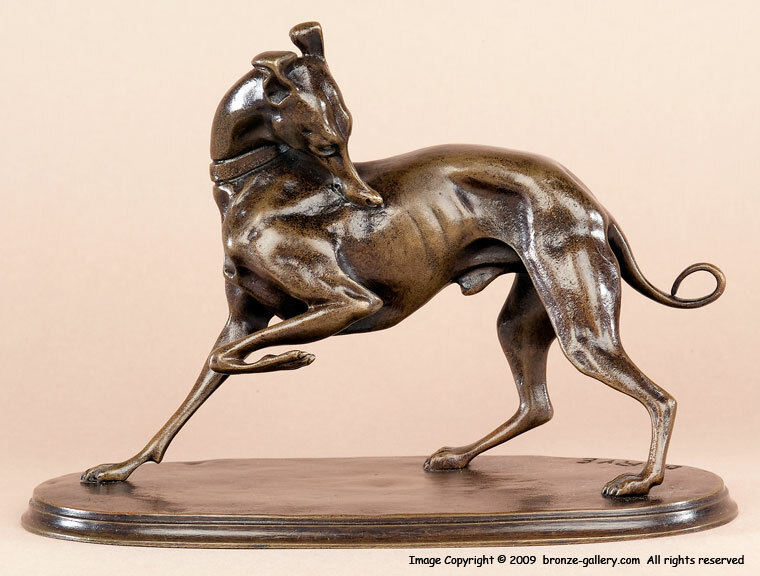 Alfred Barye did a Seated Greyhound which is a common model and has been copied many times but this Greyhound chewing his back is a rare model. 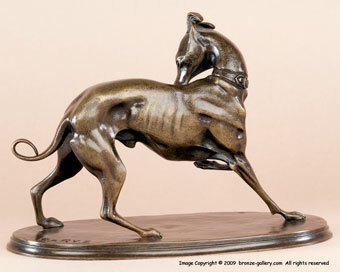 The bronze is finished in a rich brown patina.